IMPORTANT POINT: It is strongly recommended to use "visudo" to edit the sudoers file rather than using normal editor and directly modifying the original file /etc/sudoers as that way you will not be able to do any syntax check. Any incorrect syntax in the sudoers file can block you for accessing your node and can be very risky. "visudo" will not allow you to exit the editor with an incorrect syntax in the file. RunAs : This optional clause controls the target user (and group) sudo will run the Command as. Let's go through each of the available options one by one with some examples to understand more on them. Dec 30 19:04:36 golinuxhub.lab systemd: Started Command Scheduler. 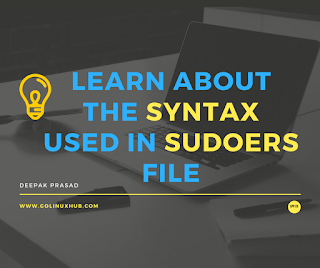 If we have multiple list of users for whom we want to allow certain list of commands with sudo then we can use "User_Alias" which is an internal variable of sudoers file. Why do we need "Host" when I know I am going to run from my machine? Well actually the question is absolutely correct but what if you have a big network with 1000s of servers wherein each group of server have their own role for eg some can be a DNS server, some can be an apache server and we have to assign sudo roles accordingly to respective users. Now you wouldn't want a user "deepak" who is a domain administrator having sudo access to domain server is also getting sudo access to other servers? So I will use the "Host" section in the sudo and will make sure that user deepak to allowed to run all the needed commands as root but only on the "Domain Server"
If you want to allow a user execute some tasks with sudo permission on multiple hosts then you can use the Host_Alias variable which is an sudoers based internal variable. ## wildcards for entire domains) or IP addresses instead. A Runas_Spec determines the user and/or the group that a command may be run as. A fully-specified Runas_Spec consists of two Runas_Lists (as defined above) separated by a colon (‘:’) and enclosed in a set of parentheses. The first Runas_List indicates which users the command may be run as via sudo's -u option. The second defines a list of groups that can be specified via sudo's -g option. If both Runas_Lists are specified, the command may be run with any combination of users and groups listed in their respective Runas_Lists. If only the first is specified, the command may be run as any user in the list but no -g option may be specified. If the first Runas_List is empty but the second is specified, the command may be run as the invoking user with the group set to any listed in the Runas_List. If both Runas_Lists are empty, the command may only be run as the invoking user. With this argument we tell sudo to accept "-u" and "-g" option where "-u" will run the command/script as the respective user and "-g" will do the same as respective group. If I run thos script as user "deepak"
So this was properly executed. 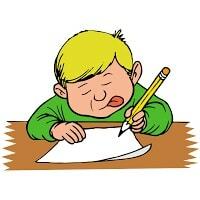 Let's try to run this as some other user "ankit"
ankit is not in the sudoers file. This incident will be reported. Oops that also didn't worked. Now if you notice here I have given RunAs access to "deepak" which means if user "ankit" runs the script as "deepak" then he will be allowed to run the script. Sorry, user ankit is not allowed to execute '/tmp/deepak_script.sh' as root on golinuxhub.lab. Since here ankit is trying to run deepak's script as root (if there is no -u specified then the sudo works as root user) hence the permission was denied, let's try again with "-u deepak"
So it worked this time. I think I have already been giving multiple examples for this in the above sections. 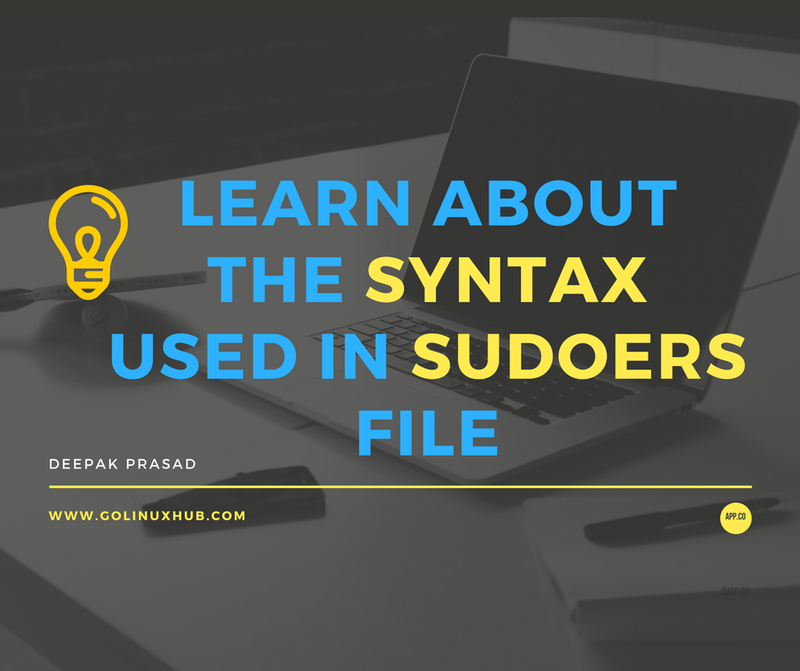 In the last column of sudoers syntax we provide the list of commands which we want to be allowed for a user/group. You can give multiple commands separated by a comma "," and followed by a whitespace. If you have a set of commands for which you want to provide access so it makes sense to add them into a single variable i.e. Cmn_Alias which is an internal sudoers owned variable. I will write a separate article with more possible examples and scenarios for sudo use case on ground zero. I hope this article was helpful.